Thinking back over the years I started homeschooling at the best time. The internet was a thing that very few people had and so the only place you could access information was from your neighbor or the homeschool Mother up the road. If you wanted to home school you had to find the local support group. I miss the days of fellowship over a cup of tea while the children played outside. The highlight of our time together would be seeing a new book, new home school catalog or curriculum. 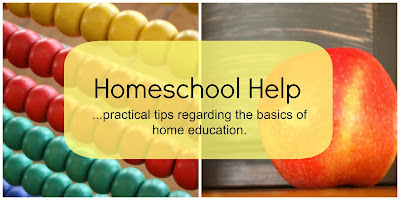 Today Mom's ask Google, if you do a search for home school help you will find ten million hits. It's over whelming where do you begin? 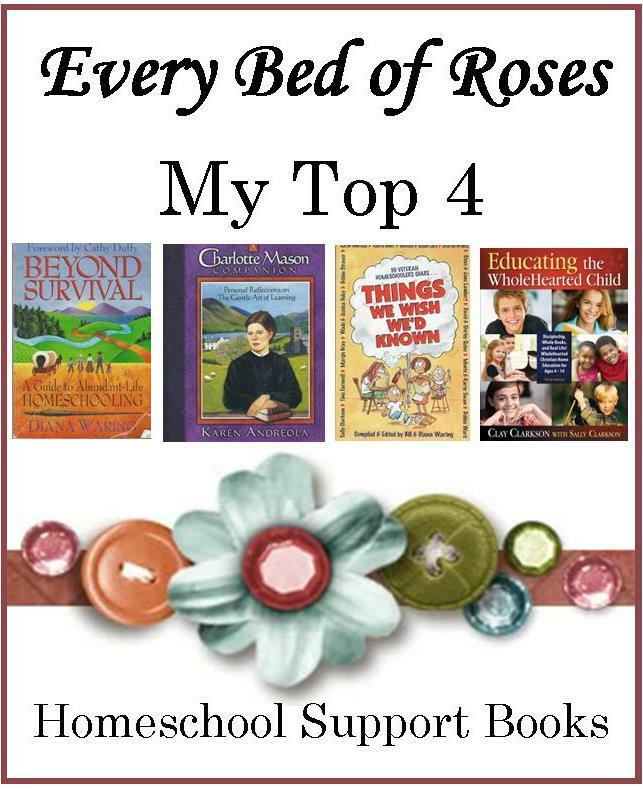 Today I want to share my top four home school support books. 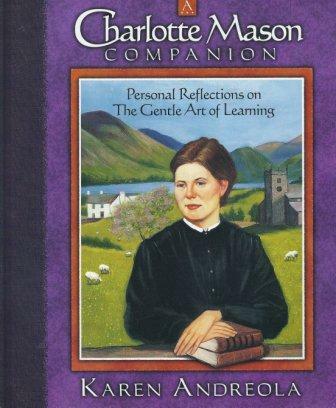 A Charlotte Mason Companion is Karen Andreola's memoir of implementing A Charlotte Mason education. This beautifully illustrated book is full of encouragement and how to chapters. Karen covers practical topics like: The Art of Narration, Mother Culture, Shakespeare and Dickens. Topics of Art and Music appreciation along with Grammar, History, Nature Study and a few more kernels of wisdom. A beautiful book full of gorgeous line illustrations. For online encouragement meet Karen over at Moments with Mother Culture. Been on the journey for a few months and needing a little deeper understanding ? This is the book for you. Bill and Diana Waring have compiled this absolute gem of a little book which is a great reflection of their mission "To serve families by encouraging and equipping". 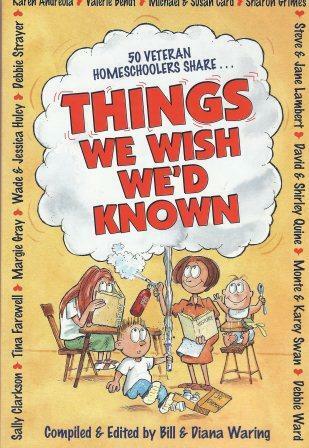 Things we wish we'd known (232 pages) is divided into five sections covering: The Concepts, The Basics, The Priorities, God's Involvement, Christian Character and The Blessings. In each section is a number of letters from veteran home school parents to you. Each write up is started with a photograph and short biography followed by their kernel of wisdom. Each one is concise and well written. This little book is worth it's weight in gold and will answer most of your questions with wisdom and balance. For online encouragement Facebook, Twitter, and Diana shares gems on her blog Diana Waring Presents! 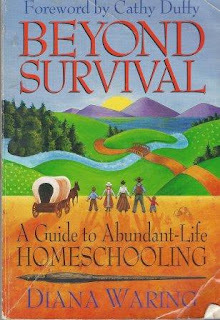 After years of feeling like she was barely hanging on Diana cried out to God and desperately asked to get Beyond Survival (288 pages) and walk in Abundant Life Homeschooling. In her well known conversational style Diana shares the keys that released the joy in her home school journey. This little gem answered so many of my why is this happening questions. It is full of insight and will broaden your understanding of the way your children learn and do life. Diana shares many funny happenings from her journey along with an honest look at things we struggle with behind closed doors. I enjoy the honest transparency of this book. 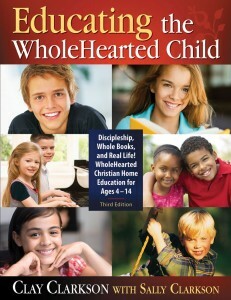 Educating the Whole Hearted Child has seen a few revisions over the years and still contains a life time full of information to carry you through any season of homeschooling. Clay and Sally have graduated three students and are passionate homeschool encourager. This book (384 pages) is divided into four main sections: Home, Learning, Methods and Living. This book is full of words of encouragement and insight. Sally and Clay have filled this book with practical know how and insight. They use wonderful acronyms to help you implement and formulate your homeschool plan. I love how they give information and then share 'In Our Home'. They take each topic and break it down in to easy to understand bite size pieces backed up with research and scripture. Purchase this book from: Whole Heart Ministries, Book Depository, Amazon. For online encouragement Sally Blogs over at I Take Joy, Facebook, Twitter & Pinterest. 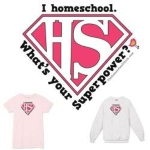 Merchandise: I homeschool What's Your Superpower? Many are the things that will take from your energy levels and enthusiasm on the homeschool journey. It is incredibly important for you to invest in your selves or you will find yourselves burnt out and desperate. The art of Mother Culture is something sorely lacking in our sub culture of home education today. I would encourage you to take some daily minutes for yourselves in order to be the very best you can be. Equip yourself well for the task at hand. Charlotte Mason advised the teacher to replenish her soul with a continual supply of ideas. ...stimulates your educational thought in many directions and keeps you from drifting into mere routine... Do not think this is a selfish thing to do, because the advantage does not end with yourself.". Julie remembers her journey when Considering Homeschooling and how she read many books and one helped her make the choice to home educate. 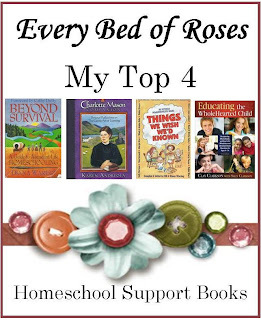 Hwee shares about her Book Recommendations for New Homeschoolers and shares some titles to help you no matter the age of your children. 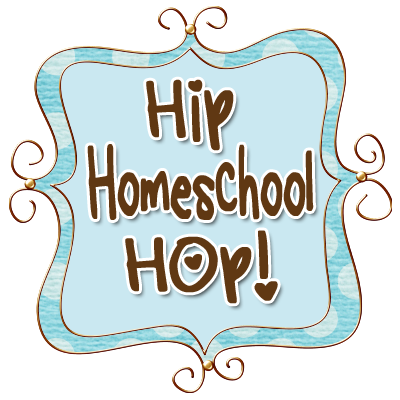 Savannah shares Three Great Homeschool Books and talks about her Holy Trinity of Home School Support books. I always enjoy how concise your posts are, Chareen. Is your house this organized, too? I bet it is! Chareen, that second book "things we wished we'd known" was my life saver. I bought it when my 10 y.o. was 2 y.o. I was already equipping myself for homeschooling and had this plan of how things were going to go. So when DD10 was like 5 y.o. and things were not going as plan, the things I read in that book made me try unschooling and relax in our homeschooling routine. I remember reading all these families experiences and what they treasured after all those years of homeschooling... it wasn't really the academics but all the relationship and closeness they had experienced with the children. 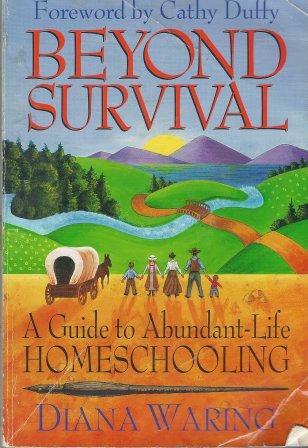 I think that is the #1 book I would recommend to any Mom thinking of homeschooling. Today we are a happy family of 6, we got 4 kids that we homeschool and we are having fun and hard times in this adventure, but we love it because it's life. We are learning and living together in this path of life. Chareen, the top three are books I'm familiar with; I haven't read the Clarkson's book, but it sounds very good. My favorite book for getting started many years ago was Mary Pride's Big Book of Home Learning. She has a revised new edition out now, with a different title: Mary Pride's Complete Guide to Getting Started in Homeschooling. Thanks for your list of links for online sources of encouragement. The culture has changed, but there is still much value in local support groups and meeting/exchanging info like you mentioned. Those are my memories, too (we started homeschooling in the '80's) and if you can find some local homeschool parents to interact with, this can be very enriching for a teaching parent. The internet can be a great resource, and also a place to connect and give/receive encouragement. But I also like to also recommend reaching out to find local homeschool families. With all the resources and info online, there's still nothing like a friendly smile from an excited homeschool friend, or someone to personally ask "How do YOU do it?"